Finances are frequently a major concern for someone going through divorce, either as a worry about walking away with enough to cover the costs of daily living, or as anxiety related to the possibility of being required to relinquish a substantial amount. 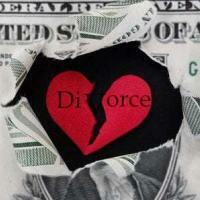 The finances of divorce revolve around the division of marital assets and the payment of support. While both types of financial resources are integral to a person’s security, property division is particularly important to a person’s long-term ability for self-support. Because of the monetary value, and in some cases, an emotional attachment to a particular item, in a couple’s marital estate, this issue can become heated during the divorce process. Parties typically feel better about the outcome of property division if they are able to negotiate a private settlement because of the control they were able to exert over the terms. However, forming an agreement over the division of marital assets is not always possible for a variety of reasons, and a court must sometimes step-in to settle the matter. Further, even if a settlement agreement is reached, a court will still review the terms to ensure fairness, as property settlements are considered final and rarely modifiable. A discussion of how courts assess the division of property, including a recent case where the trial court’s analysis was incorrect, will follow below. Equitable distribution is the standard courts use to evaluate what the appropriate division of property should be, and rests on what division would be most fair. While the starting point for this analysis is a presumption for equal division, courts can favor one party if circumstances indicate this is necessary. Due to the importance of this issue, a court’s analysis of what is equitable is the central focus of many divorce cases, because if improperly conducted, the decision can give a party grounds to appeal the divorce judgment. A recent decision by a Florida appeals court highlights the effect a judge’s failure to follow the rules for determining a fair division can have on the value of a party’s settlement. The major issue in the case was the value of a property the parties owned in the U.S. Virgin Islands, with each party providing conflicting numbers. The appeals court sent the case back for reconsideration because the trial court did not factually support why its decision was equitable, a requirement of Florida law. These factual findings must relate to a list of factors courts are required to use when evaluating the fairness of an equal division of property; otherwise, there is no way to know if the law was correctly applied, or if the court’s decision was arbitrary. the intentional waste or depletion of marital assets after filing for divorce, or within the previous two years. Looking at the list above, the court requires a lot of detailed and personal information to decide the division of property, which illustrates the need to have an experienced divorce attorney to advise on the best and most persuasive way to present this information. No one knows the story of what led to your divorce better than you, but an experienced divorce attorney will know how to best use that information to your advantage. An attorney will also know how to protect your rights, and look out for your interests and those of your family. The Tampa Bay law firm All Family Law Group, P.A. knows how straining divorce can be, and is prepared to take over the legal burden so you can focus on supporting your family. Contact the Tampa divorce attorneys and family lawyers at All Family Law Group, P.A. in Tampa Bay at 813-816-2232 for a consultation at no charge or email us.